Arnold Gjergjaj, also known as “The Cobra”, is considered to be the best boxer in the heavy weight category. He won all of his 24 matches! Arnold Gjergjaj (1984) is a professional boxer of Albanian origin living in Switzerland. As a 14-year-old Arnold went with his family from Gjakova, Kosovo to Switzerland. In Pratteln, Basel-Landschaft, he finished school and completed apprenticeship as a heating engineer. He began boxing as a child in Kosovo. He later he joined a kickboxing club and was then transferred to boxing. A triple amateur Swiss champion, at the age 25 in 2009 turned into a professional. Since then, “the Cobra” had 24 fights and won all (18 KOs). His model for boxing skills is the British former world champion Lennox Lewis. 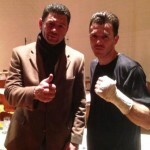 Arnold “the Cobra” Gjergjaj fights for the boxing club Basel and is coached by Angelo Gallina, who is also his manager. Although he has a great fear of snakes, his battle name is “the Cobra”. This is because the poisonous snake bites almost as fast as Gjergjaj strikes: almost 45 km/h. Currently Arnold Gjergjaj is number 44 on the heavyweight world rankings of the independent platform BoxRec. Arnold Gjergjaj is involved in different domains such as development aid organization “Terre des Hommes”, Switzerland and with the youth activities in his hometown of Pratteln. 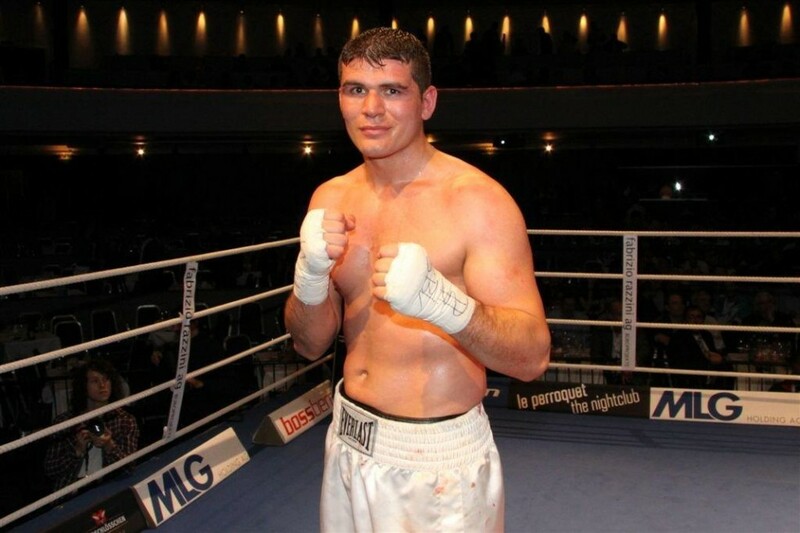 In Switzerland and in Albania, Gjergjaj is currently the most successful heavyweight boxer. Until October 2013, Gjergjaj used to win all his 22 professional bouts, including his last nine by stoppage, but has fought outside Switzerland on only one previous occasion. Today, he has the record of 24 undefeated matches. Arnold Gjergjaj has always enjoyed boxing. He remembers that he left Kosovo in July 1999 to go to Switzerland. Three months after this Arnold began kickboxing. After seven fights in kickboxing Arnold decided to do only boxing. He won multiple fights as an amateur boxer and gained the status of a professional boxer through his hard work. He gained this status years ago and won 24 matches since then, remaining undefeated. When he left Kosovo at the age of 14, Arnold faced challenges of integrating into a new culture and learning a new language. During this time he realized that effort is the key to a successful life and continued integrating into his new surroundings very quickly and easily. Today, Arnold is not only a boxer, but also an ambassador for an association which works with kids who need encouragement in finding non-violent solutions to problems through sports. Integration prize that Gjergjaj received, called “Prattler Stern” is given once in two years and has a monetary value of 10.000 franc. After a lot of ring trophies, Gjergjaj lately won another kind of award. Pratteln Municipality of the Basel-Landschaft canton, where the renowned boxer lives has honored him with an integrity award. Due to his magnificent results and his remarkable integration, he was rewarded with the Pratteln Star (Pratteln Stern). But along with the boxing, he is noteworthy in his integration efforts. “I came from Kosovo to Pratteln as a 14 year-old, without speaking a word of German language. Today, I am being honored. It is my first award here and this is a great honor for me”, said the Albanian of Kosovo origin. The boxer that used to train with Vladimir Klitschko added that he is trying to instruct the youth that only by motivation and hard work they can realize their goals. The original article was posted at Albinfo.ch – Click here to read the original article. Arnold Gjergjaj: A tough guy – but only in the boxing ring!